Exciting News! You can now watch the Atrial Fibrillation Patient Conference from home. 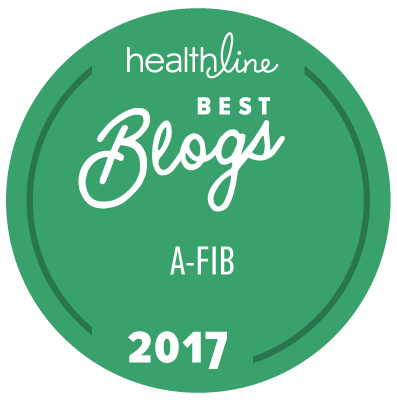 Home | Afib News & Events | Exciting News! You can now watch the Atrial Fibrillation Patient Conference from home. Summary: Exciting News! Unique one-time opportunity to watch the 2018 Get in Rhythm. Stay in Rhythm. Atrial Fibrillation Patient Conference from home for no cost. The 2018 Get in Rhythm. Stay in Rhythm.® Atrial Fibrillation Patient Conference begins in just two days, and we're SO excited. We have just received confirmation that Bayer will be underwriting the livestreaming of the conference! That means we now have the unique one-time opportunity to stream the conference to you via the Internet at no cost. We’d love to have you join us virtually from your home or office, starting at 8:30 a.m. Central Time this Friday! 1. Enter your name and email address on the page linked below. 2. Check your email for confirmation of registration, and for the password that will give you access to the livestream. 3. Each day of the conference, you will receive an email with instructions for accessing the livestream and the schedule for the day. 4. About a week after the conference, we will send you access to the replays, so you can watch the presentations again (or in case you were unable to watch them live). Register To Watch The 2018 Afib Patient Conference From HOME, At No Cost. Because what is required to stream the conference (multiple high-definition cameras and operators and high-capacity distribution) is expensive, we're not typically able to offer it at no cost. But this year, thanks to it being underwritten, we're able to share this important information even more widely. I know I've said this before, but it bears repeating: the information from our expert speakers (the people who doctors go to for advice) is too important to miss if afib has disrupted your life and you want to get your life back. And that’s why I sincerely hope you'll take us up on this unique opportunity to watch the 2018 Get in Rhythm. Stay in Rhythm.® Atrial Fibrillation Patient Conference live, at no cost. Remember, it begins Friday at 8:30 a.m. Central Time. Again, this opportunity—to see the conference live at no cost—is unique, and I hope you'll take advantage of it. P.P.S. We are so grateful for all our conference sponsors who make the Get in Rhythm. Stay in Rhythm.® Atrial Fibrillation Patient Conference possible. They include the Bristol-Myers Squibb–Pfizer Alliance, Bayer, AtriCure, Biosense Webster, Boston Scientific, Medtronic, Sanofi, SentreHEART, and Abbott. And great news: our livestream host, Eliz Greene, will interview some of them so you can learn more about them when you join us for the livestream!